In 1957-58, we had published Eight Upanisads, in two volumes, the first comprising the Isa, Kena, Katha, and Taittiriya Upanisads, and the second containing the Aitareya, Mundaka, Mandukya with the Karika, and Prasna Upanisads, with the English translation of the texts and of Sankaracarya’s commentary on each of them. 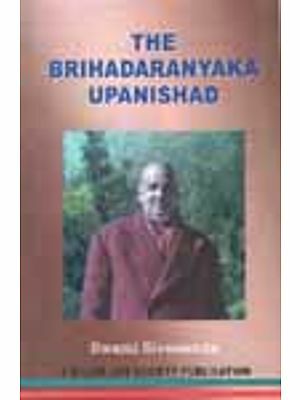 Beginning with the Aitareya Upanisad from the second volume, we now propose to publish, separately, each of these Upanisads with the English translation of the commentary on it, without any editing. The two-volume edition, Eight Upanisads will also continue to be published. We hope the Upanisads, thus published, will better meet the growing interest in their study and in the famous commentary on them. The Aitareya Upanisad is contained in the Rg-Veda, and forms a part of the Aitareya Aranyaka. 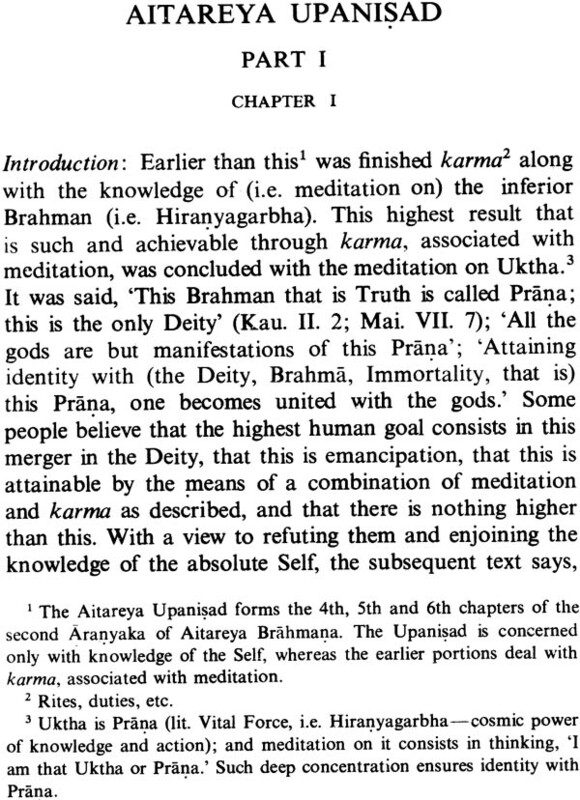 The portion of the Aranyaka preceding the Upanisad deals with rituals for attainment of identity with Prana, i.e. Saguna Brahman. 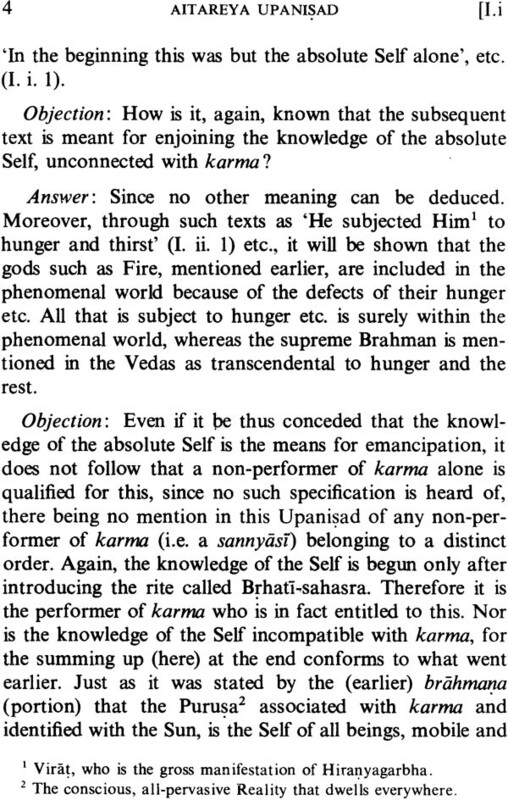 The Upanisad itself, however, as Sankaracarya argues and establishes in his commentary, holds out a distinct goal-realization of the identity of the individual soul with Nirguna Brahman, which is pure Consciousness. 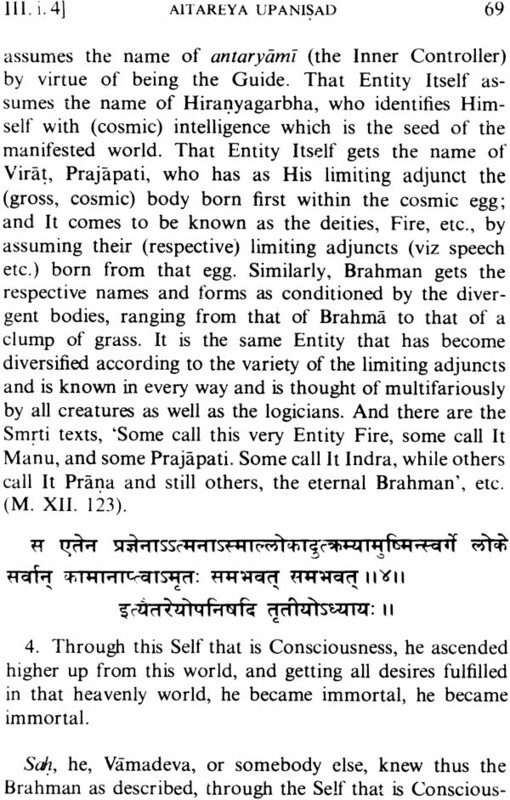 The Upanisad teaches this goal by the method of assumption (adhyaropa) of names and forms, of phenomena as real, and its refutation (apavada). The verses up to I. iii. 13 deal with adhyaropa, and then commence those dealing with apavada, leading up the seeker to the true nature of Reality. 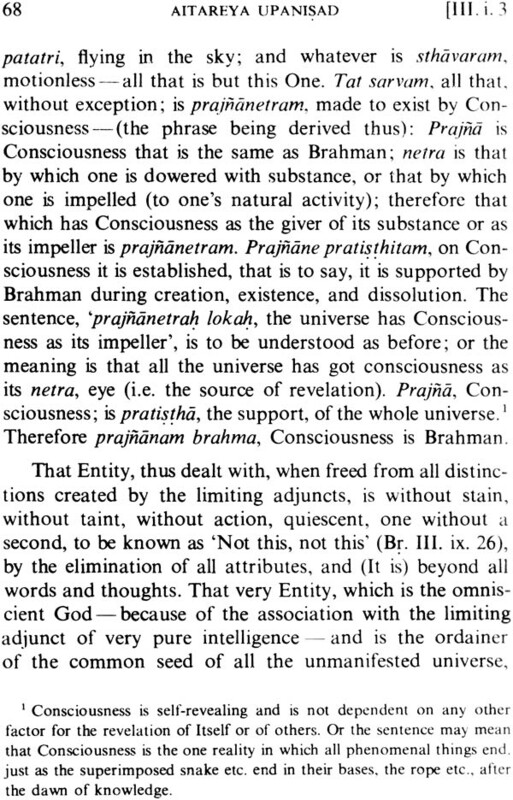 The Upanisad concludes by proclaiming Brahman as Consciousness to be the basis of everything. In this second edition of the Aitareya Upanisad. The translator himself has revised it thoroughly.